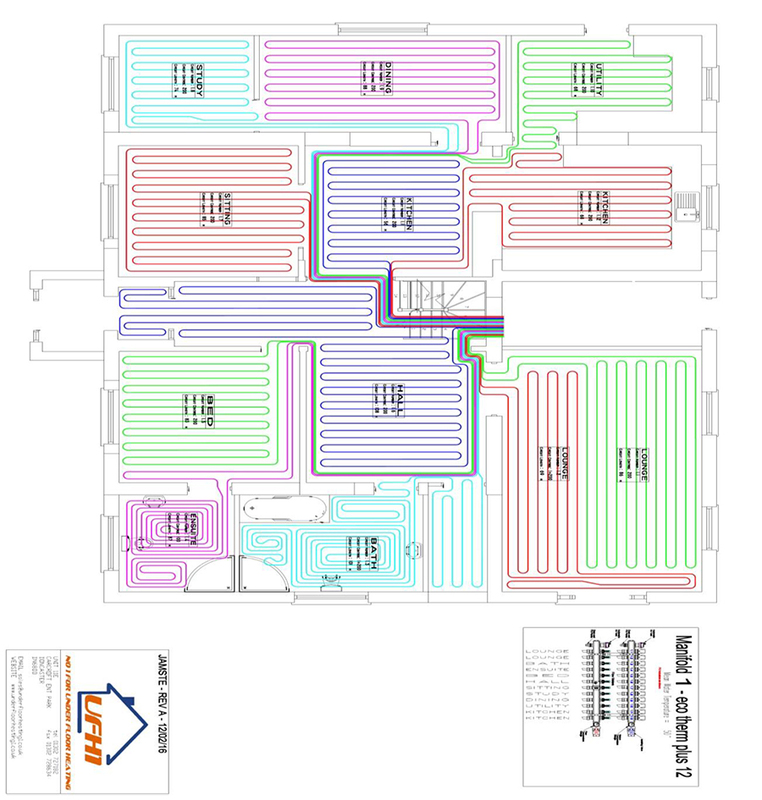 Particularly in multi zone systems, if the manifold was in a far corner or end of a property, it’s likely that we would need to increase the size of the manifold (add extra ports/circuits to the design) to accommodate the extended connection lengths to the various rooms. It would also mean that we may need to run pipe through rooms that aren’t required to be heated - see plan example below. Manifolds are often placed under stairs, in utility room units, hallways etc. They can easily be covered with bespoke cupboards/panelling etc. to improve the aesthetic appearance whilst still allowing access to the manifold. Whilst UFH systems are generally “fit and forget”, we recommend that they are accessible in case any maintenance is required. We provide a range of manifold sizes in our Technical Document to help customers check they will fit where intended.